energy rises an impressive 19-storey work of art designed to capture the attention of the business arena. 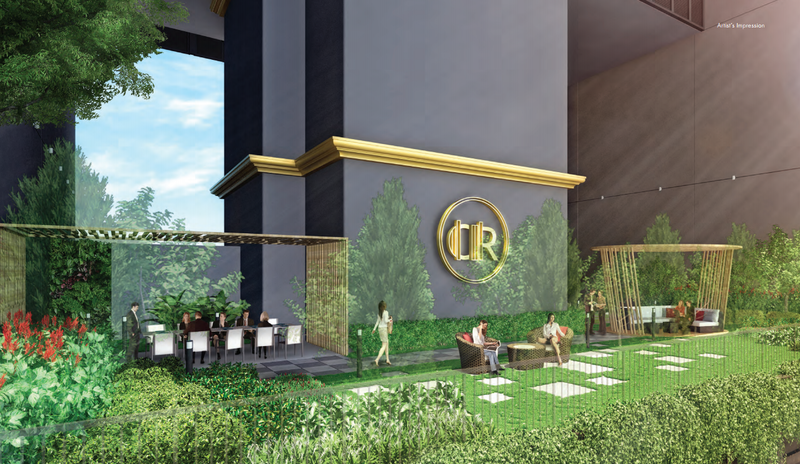 A striking office tower with a unique mix of dining and lifestyle concepts, Crown At Robinson is recognisably the perfect work-life address. Envision an architectural gem of distinctive Art Deco accents that exude a sense of quiet elegance and timeless grandeur. Inspired by the bold touches of the celebrated artistic era, Crown At Robinson redefines the landscape of Robinson Road with its dramatic golden tones set against classic dark hues. A magnificent Art Deco crown rests atop the development, encircled by an enchanting glow that casts the neighbourhood in its shadow. Embrace this opportunity to own a rare freehold strata unit with a coveted Robinson Road postal code – the ultimate embodiment of corporate success. Seize your front row seat in the rejuvenation of Marina Downtown. 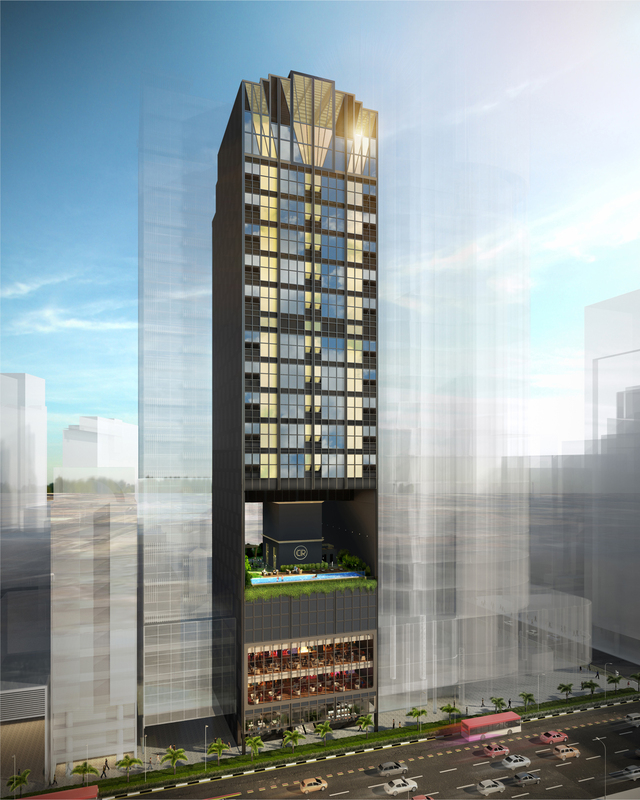 Crown At Robinson puts you right at the centre of all the excitement happening within and around the CBD. Immerse in Bayfront Avenue’s retail and entertainment district, relish in the transformative urban greening of Tanjong Pagar and explore the galleries, museums and theatres that dot the area. Capture a wealth of business potential in the dynamic city centre that will propel your assets further. The Urban Redevelopment Authority’s master plan encompasses a grand vision for the Greater Southern Waterfront District. The district will integrate seamlessly with the city center to bring more residential, hospitality, recreational and entertainment options. 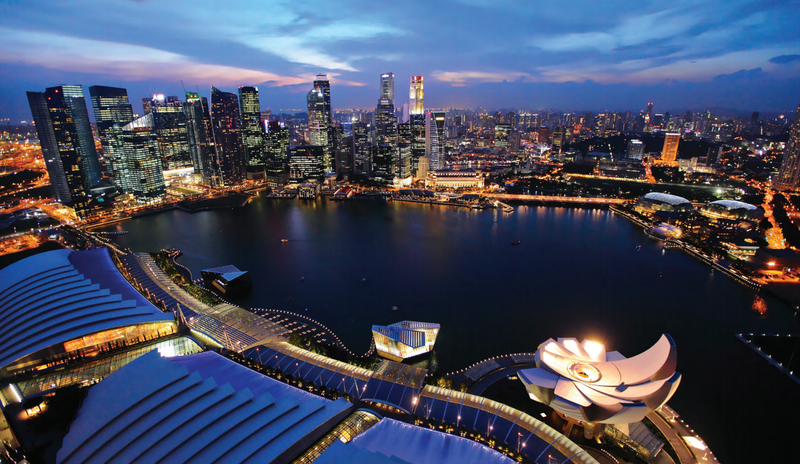 Get ready to revel in a lively cityscape overflowing with vibrant live, work, play activities. As part of the creation of the Greater Southern Waterfront, a 30-kilometre long waterfront accompanied by seamless pedestrian and cycling connections will come into play. An island-wide network of ecocorridors will also meander through the city to connect The Southern Ridges to Gardens by the Bay and beyond. Whether for your personal use or as an investment, maximise your returns with this exclusive opportunity and be part of the exciting master plan for the future. Just minutes walk from 4 MRT stations – Tanjong Pagar, Telok Ayer, Raffles Place and the upcoming Shenton Way, Crown At Robinson offers unparalleled accessibility to an intricate MRT network interweaving the East West Line, North South Line, Downtown Line and future Thomson Line. 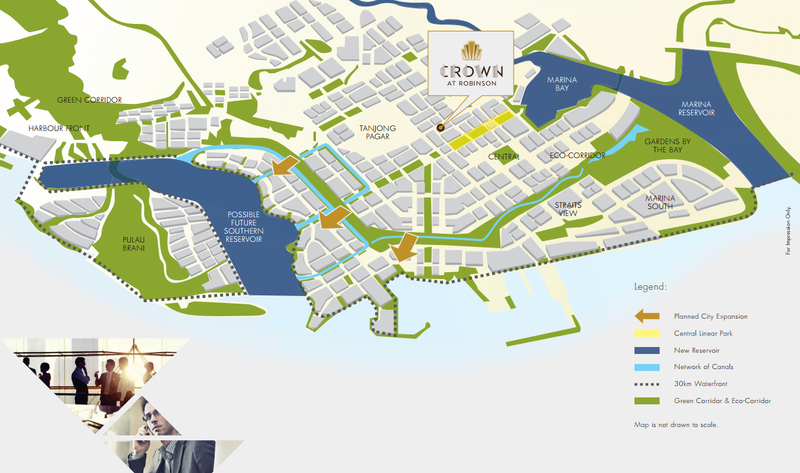 Crown At Robinson is also effortlessly linked to major expressways and surrounded by world class amenities such as Marina Bay Sands, Sentosa Island, Clarke Quay and Suntec City Mall. Together with the Maritime Cruise Center and a possible high-speed rail link terminal connecting Malaysia in the pipeline, business and employment opportunities will no longer be defined by geographical boundaries. 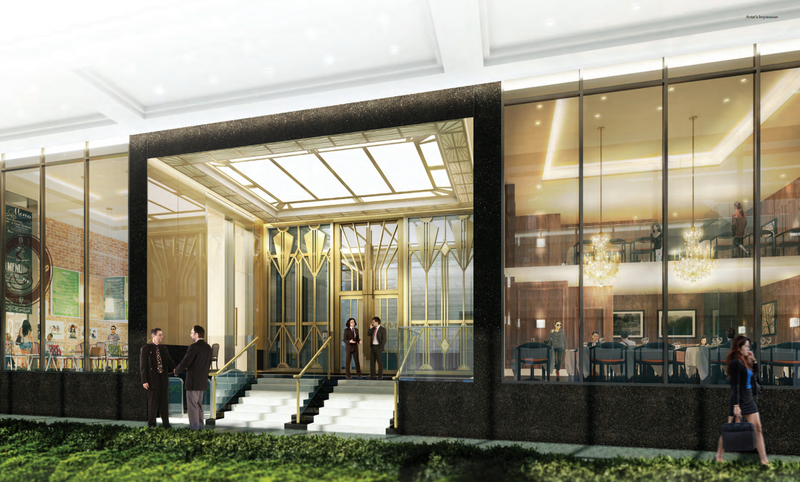 Be greeted by the elegantly designed glass and steel ornate entrance as you arrive for work each day. 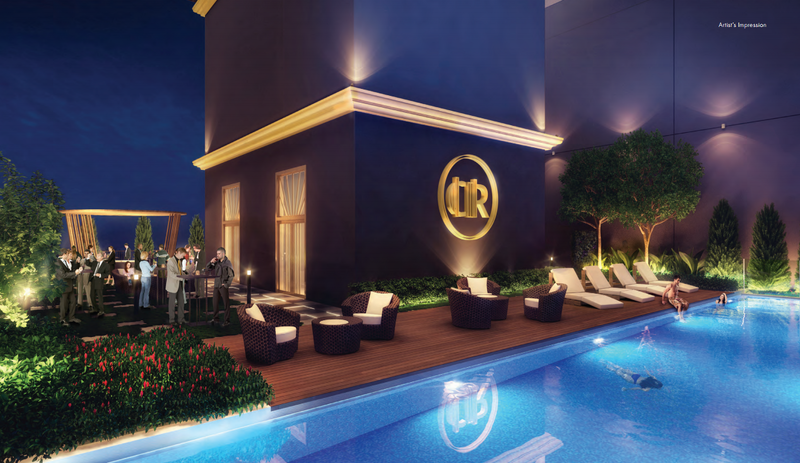 Crown At Robinson makes a lasting impression where you can be proud to entertain guests and business associates alike. The magnificent ground floor is also home to unique dining and lifestyle concepts that bring the development’s hip quotient up a notch. Work has never been more chic. 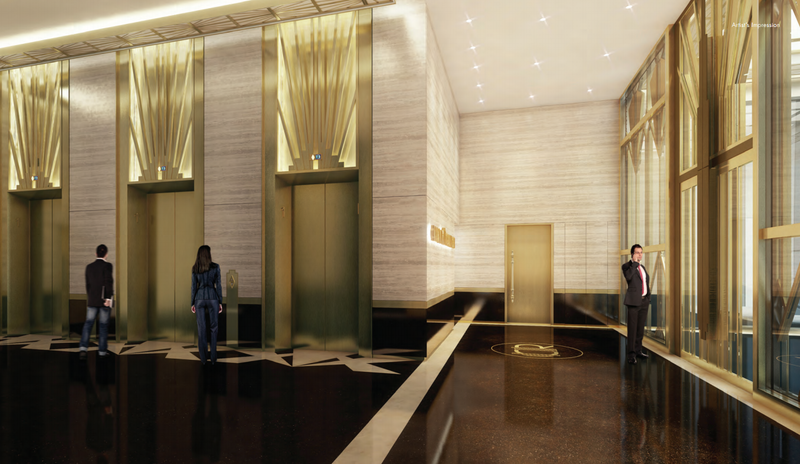 Usher guests and associates through luxurious lobby interiors that speak volumes of your sophisticated taste. Lit up by dazzling Art Deco-inspired ornamented ceiling lighting, these glittering components reflect the beauty of the city’s brilliance in its entirety. 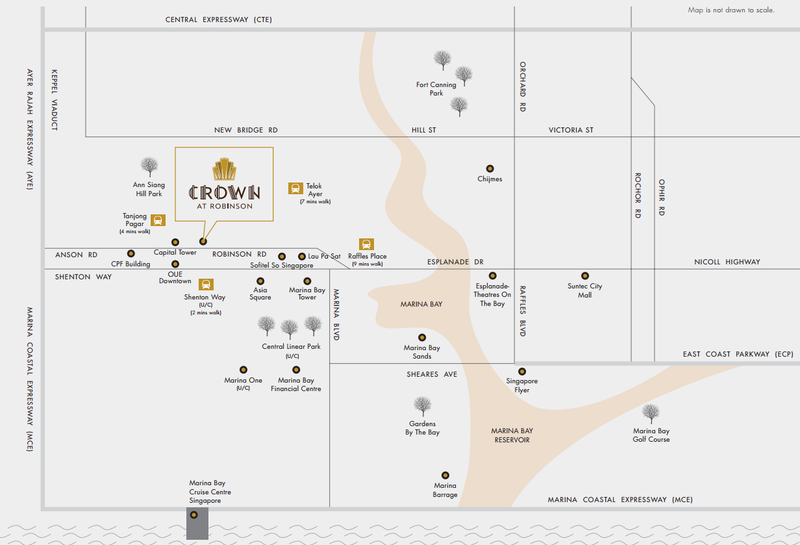 Each level of Crown At Robinson is thoughtfully allocated for a distinctive business need. 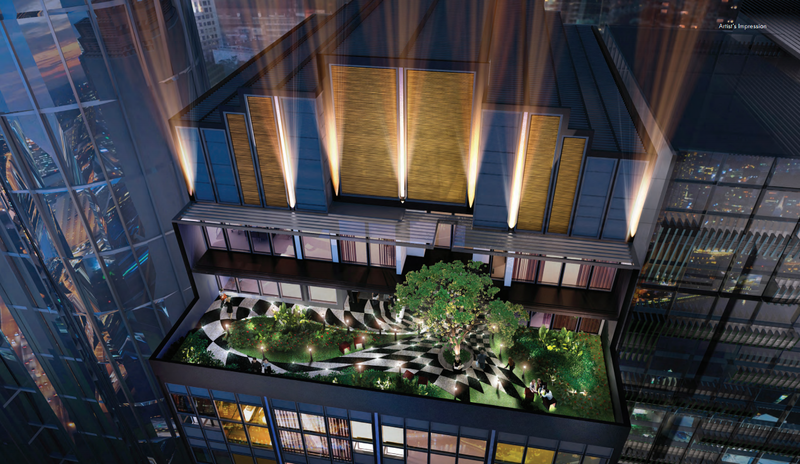 Enjoy a host of dining and lifestyle offerings from the ground floor to Level 4. Or choose to escape to a world of blissful relaxation at the Sky Gallery on Level 6. Its multi-purpose Sky Pavilion allows you to conduct meetings or host functions, events and gatherings with absolute ease. This oasis of lush greenery offers you that much needed breather from work. 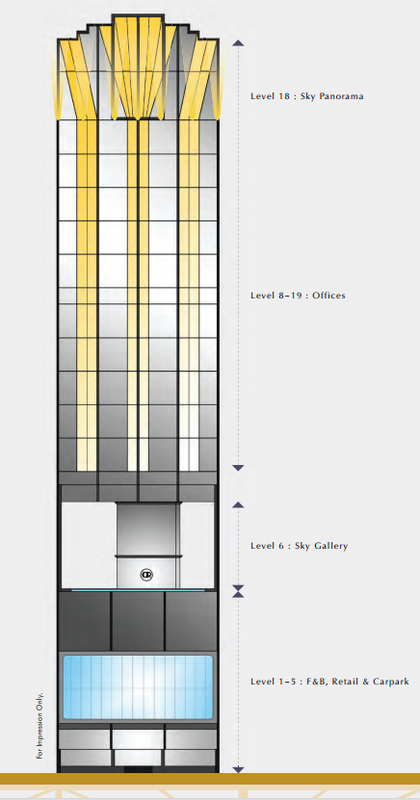 12 floors of prime office space take up Levels 8 – 19. The luxury of modern space comes complete with breathtaking views of the city. Level 18 also houses the Sky Panorama, where elements of surrealism are very much evident in the design of its gardens, helping to create a magical terrace that sparkles alluringly. Wherever you are, relax and let your business take off in style. Food therapy is about to reach an unprecedented level of enjoyment with unique dining concepts just a lift ride away. When the going gets tough, let artisan coffee stands, dessert bars and chill-out lounges sweeten your day. Mouth-watering cuisines and luscious cocktails prepared to perfection will heighten your epicurean pleasures. Beyond just finger licking good, indulge your taste buds and quench your thirst in the coolest post-work dining and drinking establishments in town. Say goodbye to boring office meetings. Stimulate your mind and think out of the box at the Level 6 Sky Pavilions. Where its inviting ambience and lush, tranquil landscaping awaits you. Reap the rewards of your hard work at Crown At Robinson. After a hectic day, unwind at the Sky Gallery on Level 6. Rejuvenate your sense of being with a splash into a 20-metre swimming pool or relax at the Sky Lounge amidst lush greenery. Look no further, for this multi-purpose space is the perfect venue to host company functions, bonding sessions and special events. Crown At Robinson is the epitome of workplace modernity. With typically 8 units per floor, contemporary workspaces give you the luxury of layout customisation to suit the needs of your business interests. Having the choice to combine the entire floor of 6,790 sq ft into one unique office and coupled with high floor-to-floor height of up to 5-metre that regales expansive views, you can now take on the challenges of the workplace at your own tempo. For more information on Crown At Robinson, simply fill up your details below and our salesperson will get in touch with you shortly!